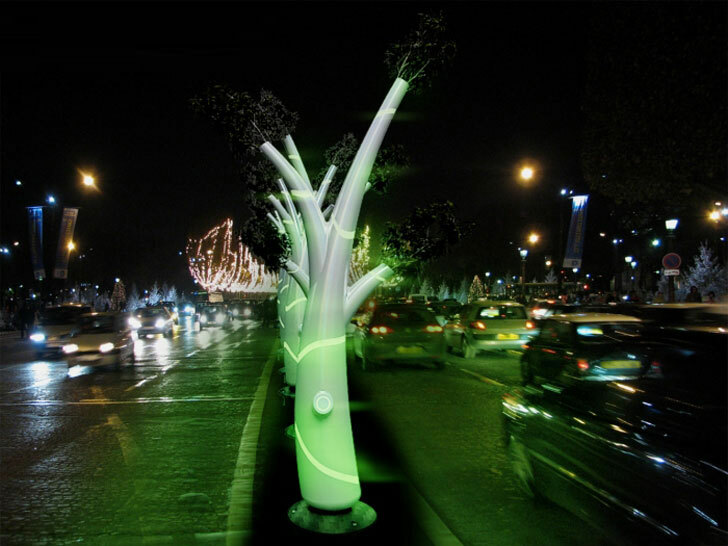 These solar light trees from Milan designer Omar Huerta are not just a unique installation of solar-powered street lights. They grow actual plants on their branches, using a hydroponic system that pulls water up the trunk just like a real tree. The result is beautiful by day or night, as the trees themselves light up green when the sun goes down. Huerta’s Light Trees are powered entirely by renewable solar energy, and the plants can be removed and transplanted. 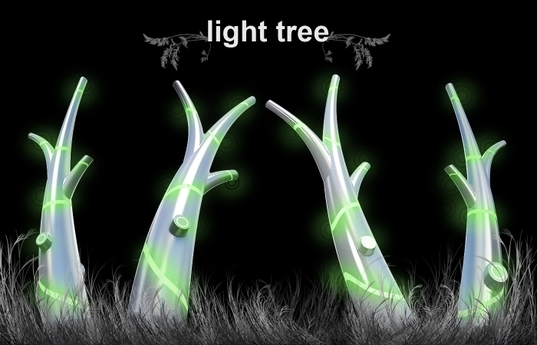 Light is generated by several LEDs at the base of the tree. The plants shown here seem to be a grass such as bamboo, but we like the idea of using these trees for a unique urban farming installation along city sidewalks.